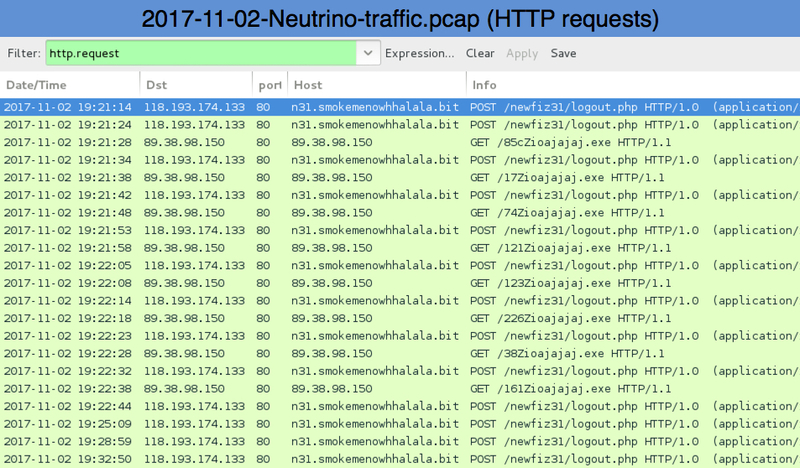 Shown above: Smoke Loader infection traffic filtered in Wireshark. Shown above: Alerts from Smoke Loader infection traffic on Security Onion using Sguil with Suricata and the EmergingThreats Pro (ETPRO) ruleset. Shown above: Neutrino malware infection traffic filtered in Wireshark. 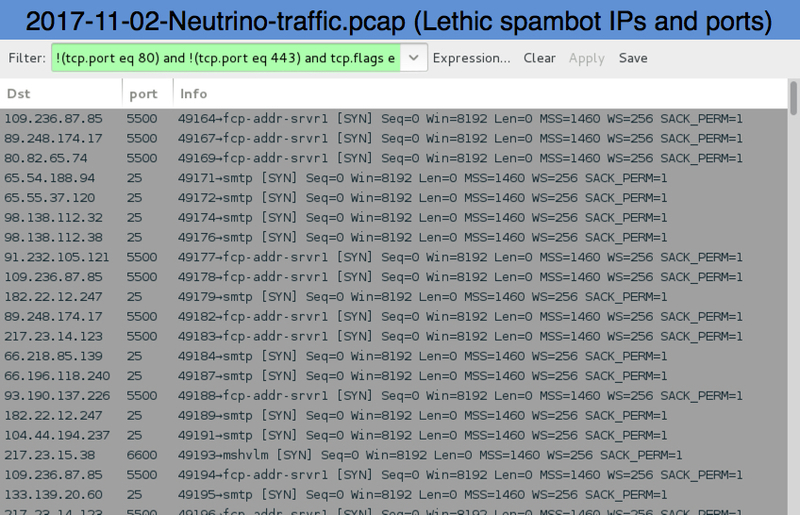 Shown above: Alerts from the Neutrino & Lethic spambot traffic on Security Onion using Sguil with Suricata and the EmergingThreats Pro (ETPRO) ruleset. Shown above: And you may say to yourself, "My God! What have I done?" (link). Saw a malicious HTTP request to 89.38.98.150 led to Sharik/Smoke Loader. 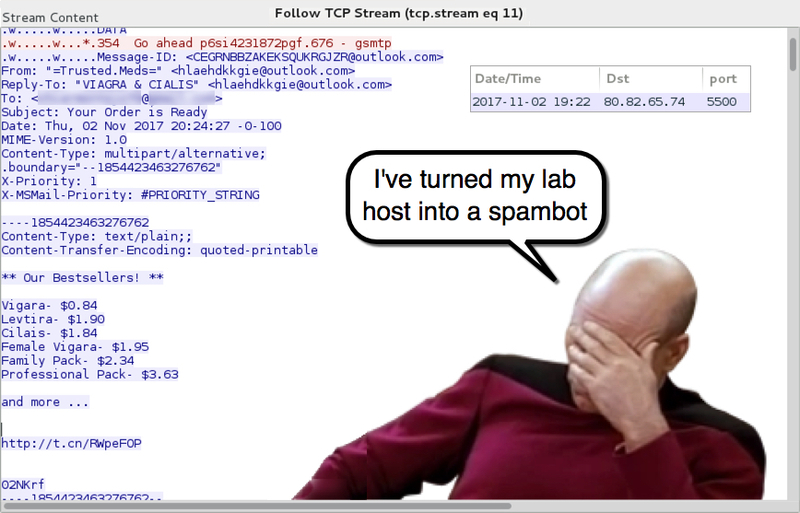 When I tested it in my labe, it retrieved Neutrino malware, which then retrieved Lethic spambot malware. About an hour I tried this, 89.38.98.150/sZioajajaj.exe returned a different file hash that was still Sharik/Smoke Loader.